Need help designing your new kitchen? A HoloLens-powered virtual kitchen showroom will arrive at Seattle-area Lowe's stores later this month. Anyone who’s ever embarked on a home renovation project—even something as simple as painting a room—can tell you how hard it can sometimes be to know how the finished product will turn out. Is that paint color too dark? Will that tile backsplash look right? Did I just spend $30,000 on something I’ll hate? There’s often no way of knowing for sure until you’re done. With that in mind, Lowe’s and Microsoft are teaming up to make the process easier. 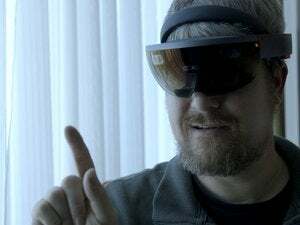 On Friday, Microsoft and Lowe’s announced a partnership in which the home improvement warehouse chain would use Microsoft’s HoloLens augmented reality headset to help you get a better idea of what a renovated kitchen would look like before you even start work. Put on the headset, and you’ll be able to mix and match different cabinets, countertops, and so on, and change the size of a kitchen island to get a feel for how everything goes together. 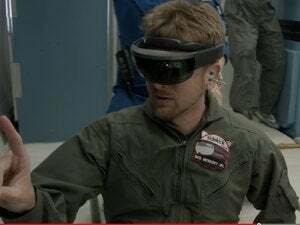 So far, the majority of chatter around virtual reality—and its cousin, augmented reality–has centered on gaming and entertainment applications, so it’s easy to forget all the other sorts of things VR and AR technology can allow. 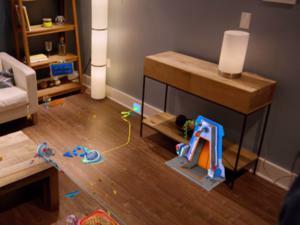 Lowe’s plans to roll out its HoloLens-based design showroom in its Seattle-area stores later this month, according to Microsoft, then in Raleigh, North Carolina after that.